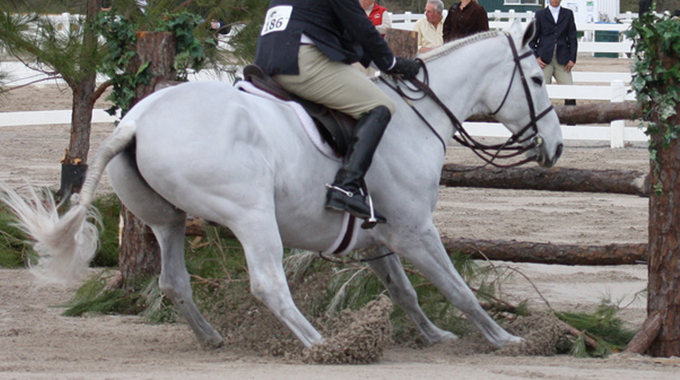 I have a question about the training of my 5-year-old IDSH/Oldenburg cross. I get conflicting information between my vet and trainers about how much jumping/flatwork he should be getting at age 5. He is a 16.3 hand gelding jumper/equitation prospect. He has done A circuit 3′ already and is still working on his changes, which are coming along. He is my daughter’s junior jumper and we plan to keep him always, so he doesn’t need to be brought along quickly for sale. He practically walks over 2’6. My vet is very conservative and thinks that he should only be jumping very low during his lessons with her and not three times a week. However, when he jumps under 3′, he is very bored and careless and gets rails. What kind of weekly training program would you suggest for him? How much jumping, how high, how often, full courses vs. exercises, what kind of exercises and how much flat work per day, per week vs jumping? 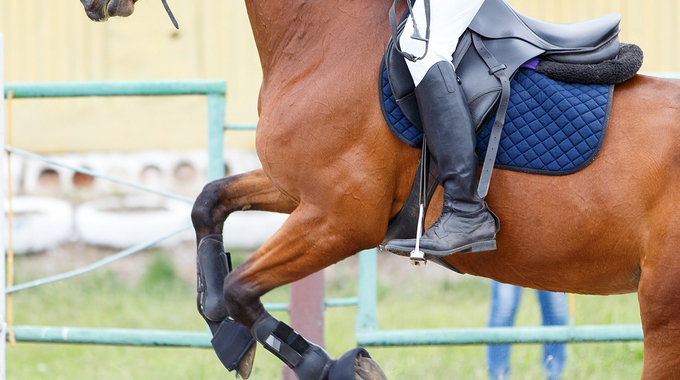 As your horse has already competed in the 3′ division at A shows, he seems far enough along to just maintain jumping fitness and schools over gymnastic combinations. I do agree with your vet that jumping most horses 3 times a week may be too much. I prefer to organize specific schools directed toward the horses individual needs and find that twice a week is plenty. Depending on their progress and show schedule there are some weeks that I won’t jump at all. 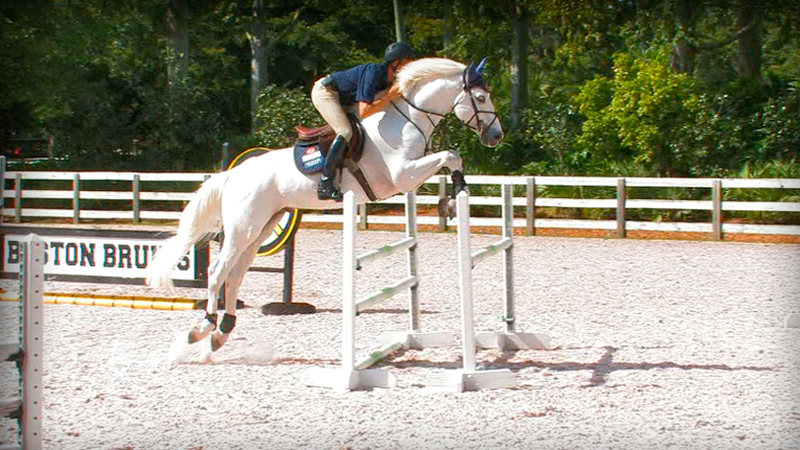 Normally I like to incorporate cavaletties and very low jumps with my flatwork, but if your horse is not respecting jumps lower than 3′, I think it best to keep most of the jumping at least at the height he respects unless there is a soundness issue to be considered. You might consider using heavier poles and cups that are not too shallow for him. Stay away from the plastic ones. Most of your week will be flatwork in his case. 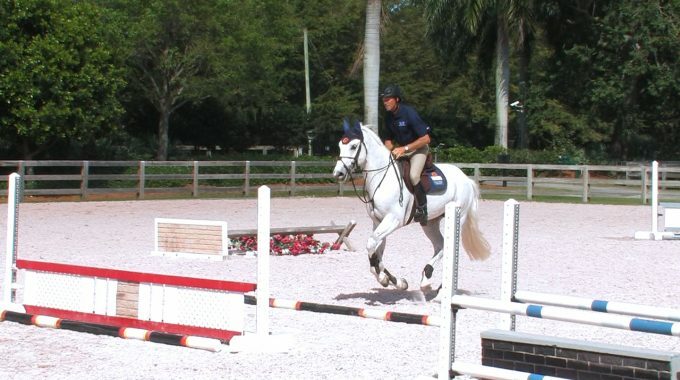 We have many topics on EquestrianCoach.com describing flat exercises and jumping gymnastics for your horse. I hope this helps. You may also find Linda Allen’s blog post, “Tips to Keep Your Horse From Getting Bored at Home” helpful. 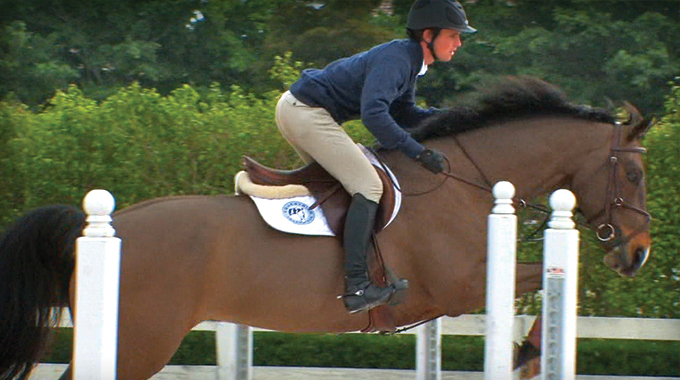 This video demonstrates the use of a gymnastic line to help horse and rider develop balance. 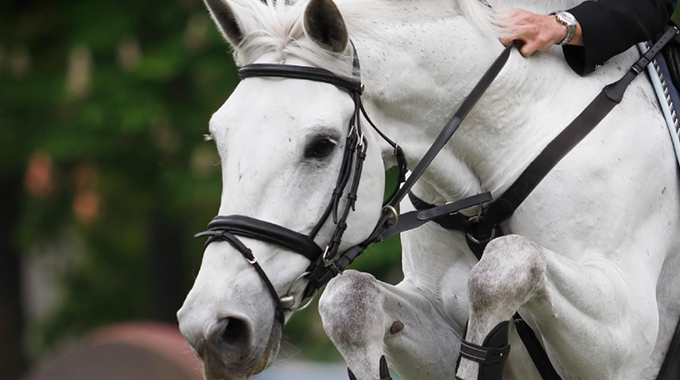 This can be very useful to help strengthen areas of weakness in both horse and rider. The degree of difficulty can range from beginner horse or rider through advanced, depending on fence height and distance between the jumps. A good “set of eyes” on the ground is also very important. Olympian Peter Wylde works with a young jumper on the flat, through gymnastics and over a course in preparation for an upcoming class at WEF. Linda Allen talks about the factors that enable a horse and rider to move up a division to bigger jumps. Julie Winkel gives a member tips on how to stop standing on her toes when jumping.